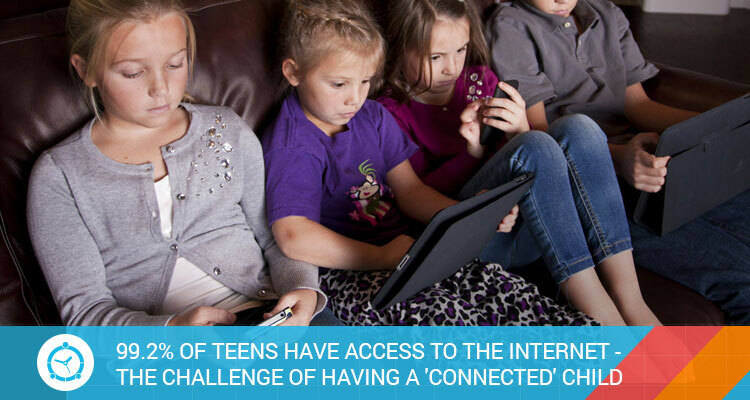 99% of 15-year-olds have access to the Internet, according to the latest data from the National Institute of Statistics (INE), a situation that poses a challenge to parents when it comes to treating their ‘connected’ children. He is always with WhatsApp or Facebook’, ‘does not raise the eyes of the mobile’, are common phrases among parents who believe that their children use too much new technologies. Currently, as indicated by Energy Sistem, parents are in a tessitura that nobody has helped them manage. The INE report in its study, based on a survey of 24,000 households, that 94% of 15-year-olds have a mobile phone, while in the same age group, those with access to the Internet are 99.2%. Consumer habits have changed among teenagers: they already prefer to consume YouTube before watching television. 72% of young people acknowledge watching YouTube more every day compared to 20% who opt for traditional television. Only 7% of respondents choose pay TV as their first option, according to an analysis of the cultural trends website. “Both the generation gap between parents and children and the change of devices from which enjoyment of leisure has caused both children and young people to be digital orphans, ” says the head of Communication in Energy Sistem, Noemi Climent. This new situation requires “a figure that explains to them what are the risks of surfing the Internet or how to detect threats to their privacy”, as Climent points out. In this sense, the data from the study of Child Safety and Customs of Children on the Internet collects alarming data: 54% of children have not received any training on basic safety standards. In addition, the report states that 86% of minor access the network from computers that do not have any content filtering system and that between 28% and 38% of minors access unsafe or harmful content (the report shows that this percentage increases with age). Though that many parents are worried to see that their kids spending too much time in front of screens, it is also a fact that new technologies have made activities such as reading, sports or painting much more intuitive and creative. An added solution is to install parental control system such as FamilyTime on their devices to monitor their activities and to take control of their actions when the need comes. It is also possible to restrict purchases within the application (‘in-app’) on Android devices. From the paternal interface of the application, it is possible to configure a content filter with which you can limit the applications according to the levels of maturity. It is only necessary to choose the appropriate option for the children. Not only this, having the app in hand, parents can see what do their kids browse over the internet and whom do they make friends by having a look at their contact book, SMS history and call logs. In the end, we much accept that technological leisure is part of the leisure and learning of minors, hence parents should not ban the new technologies for them rather make these devices safe for them using the tips given above. Remember, happing parenting begins with smart parenting! Time to celebrate Easter. 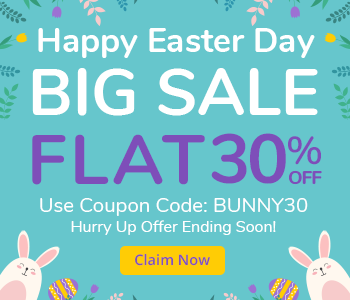 Time for another massive sale!